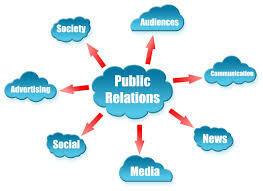 The definition of Public Relations is the planned and sustained effort to establish and maintain goodwill along with mutual understanding between a corporation and its publics. Public Relations is the more challenging “free” version connected with advertising. It turns out it’s not free after all, however paying for advertising permits you to say what ever you choose, public relations differs from the others, this is as soon as others say what they desire about you. Public Relations may include a corporation or individual gaining exposure to their audiences making use of topics of public interest and news items which do not call for direct payment.